Since 1912, the Waterloo Historical Society has sought to preserve the unique heritage of Waterloo region through the collection of artifacts and archival records. B. Mabel Dunham was the first to identify the need for an historical society in a report to the Berlin Library Board on March 14, 1912. Soon after, a group of citizens concerned with preserving the area’s history attended a meeting at the library where an executive of the Ontario Historical Society spoke about the formation of a local historical society and museum. Following the meeting, the library board struck a committee to establish a historical society in Waterloo. The first official meeting of the Waterloo Historical Society took place on April 13, 1912 with W.H. 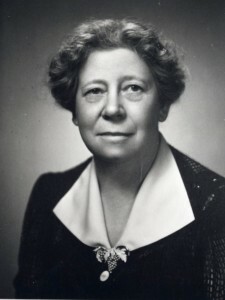 Breithaupt as president. Under his direction, the society began researching and collecting the history of Waterloo by starting with the Pennsylvania-German pioneer families. Breithaupt, Dunham and the early members of the WHS established a successful program of collection, publication and public lectures that still forms the basis of the society’s activities today. Kitchener Public Library from 1908 until her retirement in 1944, KPL. The vision for a community museum that was first expressed in 1912 became a reality a hundred years later with the opening of the Waterloo Region Museum. The artifacts collected by the early members of the Waterloo Historical Society, including the Conestoga wagon, form the basis of the museum’s collection. In 1925, Waterloo Historical Society members began to erect plaques to identify buildings and sites of historical significance. The most visible being the Pioneer Memorial Tower, a monument to honour our first settlers. 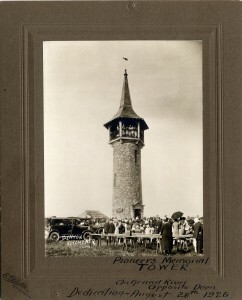 The Pioneer Memorial Tower was dedicated on August 26, 1926, KPL. 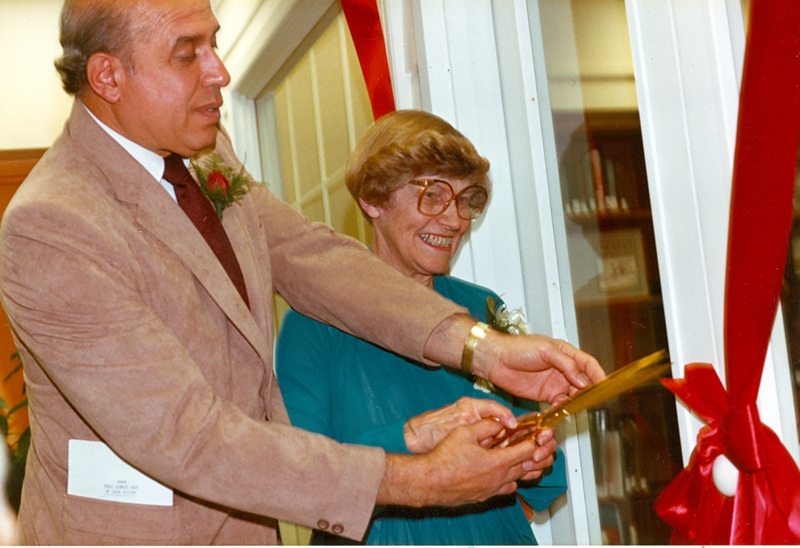 The strong partnership established between the Waterloo Historical Society and the Kitchener Public Library in 1912 continues today in the Grace Schmidt Room of Local History. This room houses the society’s extensive collection of archives. 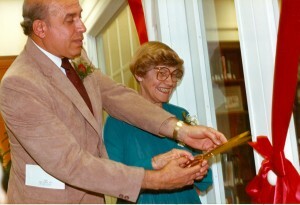 Kitchener Mayor, Dominic Cardillo and Local History Librarian, Grace Schmidt cut the ribbon at the opening ceremonies of the Grace Schmidt Room on October 14, 1984, KPL. The society has published an annual volume since 1913. These volumes are considered to be one of the most comprehensive sources of local history. The Waterloo Historical Society is also proud to have published two major award-winning books. Waterloo Township through Two Centuries by Dr. Elizabeth Bloomfield and Waterloo County: An Illustrated History by Dr. Geoffrey Hayes. Both of these books were recipients of the Fred Landon Award for Regional History.